Ben Bedford delivers intriguing sketches of America, its individuals, their victories and their struggles. Poignant, but never sentimental, Bedford’s portrait-like songs capture the vitality of his characters and draw the listener deep into the narratives. 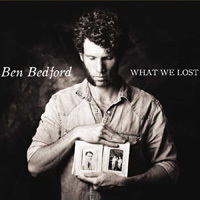 Ben Bedford has proven himself to be a truly inspired and talented storyteller…according to Arthur Wood (Maverick Magazine).Bedford establishes himself as a songwriter in the tradition of musical icons ranging from Bill Morrissey to Woody Guthrie, casting individual people in the theatre of the American landscape. A true son of the heartland, Bedford dips into the deep inkwell of classic American literature and writes with the ‘old soul’ quality of his literary idols, such as John Steinbeck and Toni Morrison. 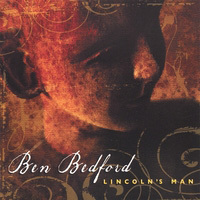 All of Bedford’s albums have charted highly on the Euro Americana charts and the Folk-DJ charts. In May 2018 Bedford was named one of the winners of the prestigious Kerrville New Folk competition. Thus joining the ranks of Robert Earl Keen, James McMurtry, Diana Jones, Anais Mitchell, Danny Schmidt, Jonathan Byrd, John Gorka and Pierce Pettis. Ben Bedford’s new albumThe Hermit’s Spyglass was recorded in March 2018 with Grammy-nominated musician David Cain at Umedia in Springfield, Illinois. The recording features 11 tracks of brand new material. 6 are songs and 5 are instrumentals. The Hermit’s Spyglassis about a magical time Ben and Darwin the Cat spent in their house on the prairie! We hope you’ll join them! Out on the rise, west of the town, where the tall Needlegrass burns to the ground. We sit inside, together apart, and a window of light shines in the dark. So begins Ben’s and Darwin the Cat’s day in the little old farmhouse (“The Hermitage”) on the edge of the Illinois prairie. And so too begins The Hermit’s Spyglass, Ben’s 5th studio album. The recording is a small, quiet musical meandering over earth and under sky with Ben and Darwin at the center of the story. We hear the raggedy star-dogs harmonize in the gloom and feel the frost melt from the Locust branches as the sun rises above the horizon. We smell the early morning coffee as the Larkspur springs and the Buffalo Grass sways. We watch the little falcon dive with flashes of green and purple. We meet Ben and Darwin’s neighbors in the eastern pasture: Festus the Mule and Sassy the horse. We contemplate the golden green of the March prairie sun and the power of an imminent thunderstorm. We sit peacefully while Darwin swishes his tail and talks to the sparrows through the window as quiet reigns on the green hill. So….Come kids of all ages. Come wonder-seekers and question-askers. Join us. Sit and ponder. See as far as you can see. 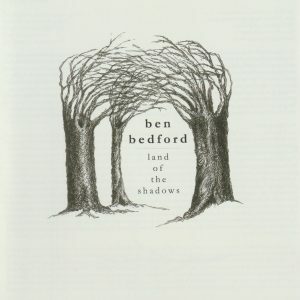 You can order Ben Bedford CD’s from our online shop.